At Johnsons Lexus we strive to bring you the best range of vehicles possible to suit your needs, and our range of Lexus vehicles is no exception. These models will seamlessly add a touch of luxury to your life that few manufacturers can rival with their high standards of automotive design and engineering. To ensure you are able to access the car of your dreams, we are proud to bring you the latest models from this high-end manufacturer, so whether you are looking for a small hatchback or a larger SUV, you will be able to find what you are after at Johnsons Lexus. The IS is a dynamic sports saloon that will enhance the enjoyment of each and every journey; the NX is a luxury self-charging hybrid crossover that is ready to take on any urban adventure; and the iconic CT is a compact luxury hybrid hatchback that showcases the true Lexus styling. 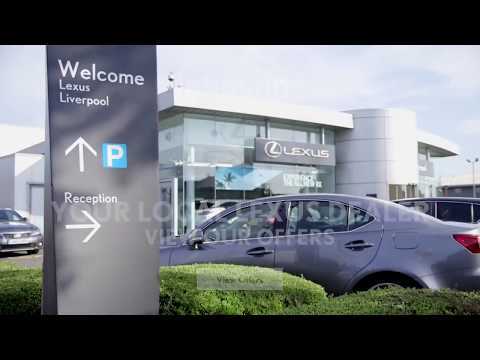 If you would like to find out more about any of the new Lexus models we have available, visit Johnsons Lexus in Liverpool, where you can view the range first hand and speak to a member of our helpful and friendly team who are on hand to assist you with any questions.